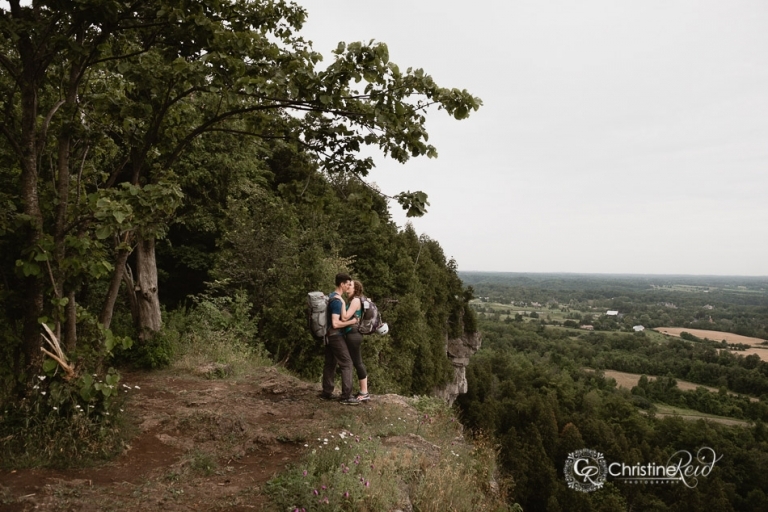 I’m not sure how I missed sharing this Mount Nemo rock climbing engagement session from last July with Erica & Trevor, but as I started planning for 2018 I looked back at some of my favourite sessions and this one has me begging to shoot more just like it! When I first met Erica & Trevor, they were just starting to plan for their Prince Edward County wedding. 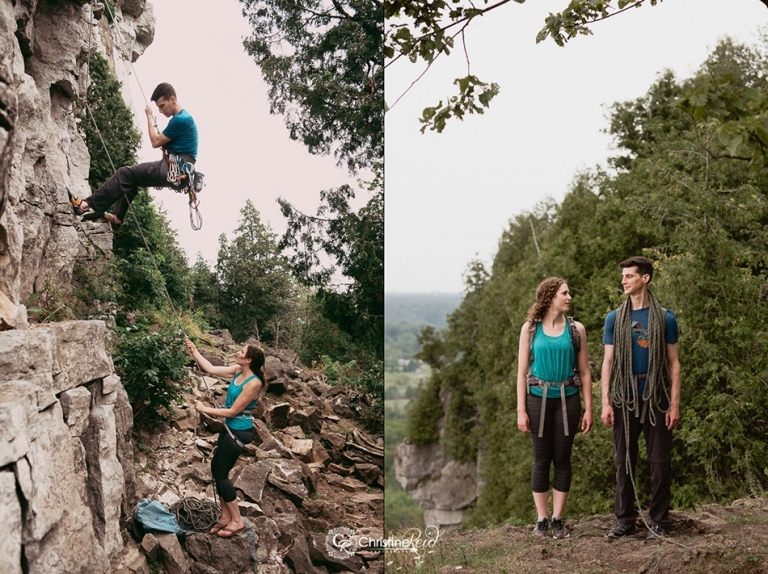 As we got to talking, it came out that they love the outdoors and are experienced rock climbers, which triggered a light bulb moment and I had to suggest we do that for their engagement session. I mean, what better way to get to know them before their wedding day AND get them some great shots of them doing what they love. 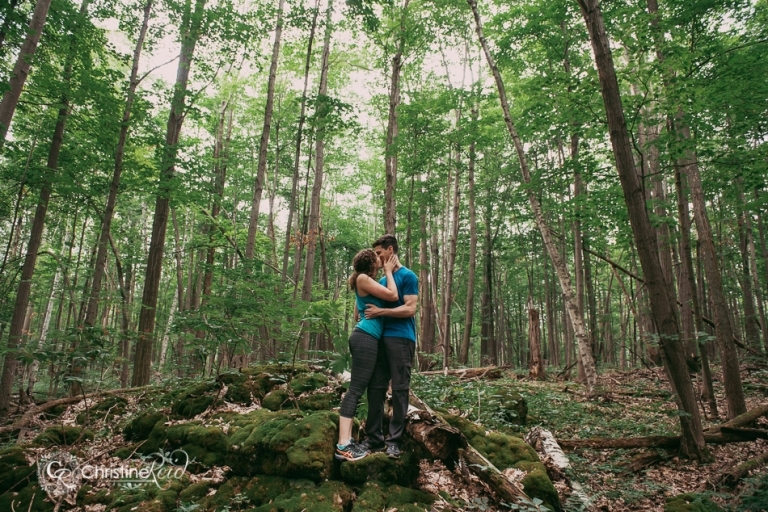 How Do You Choose an Engagement Session Location? 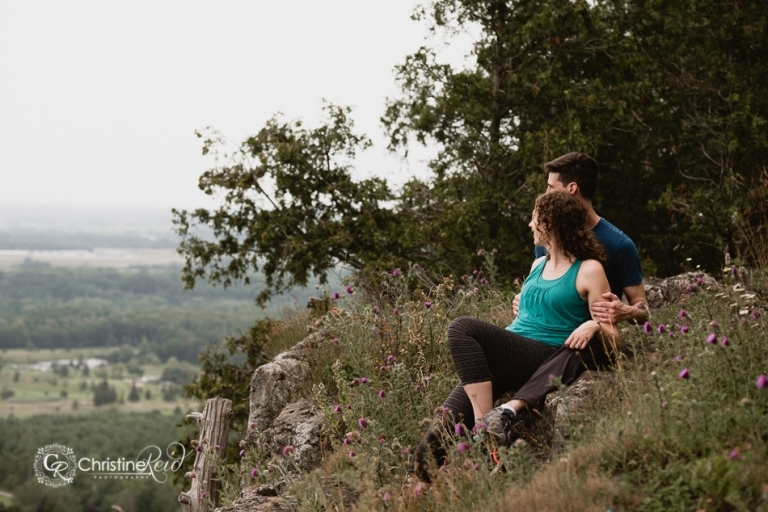 When choosing a location for your engagement session, think about what you two actually enjoy doing as a couple. Is there somewhere special that means something to you or are you simply looking for a photogenic backdrop where you can just ‘be’ together? If you brainstorm and put in that extra little effort into your own engagement session, the results will end up meaning so much more to you. Don’t just schedule an engagement session because someone told you to have one. Instead, take advantage of it! Let me get to know you and let’s do something fun! That way, you’ll get to know me / how I work behind the camera AND you can look back at the photos and see genuine smiles, memories and moments captured. 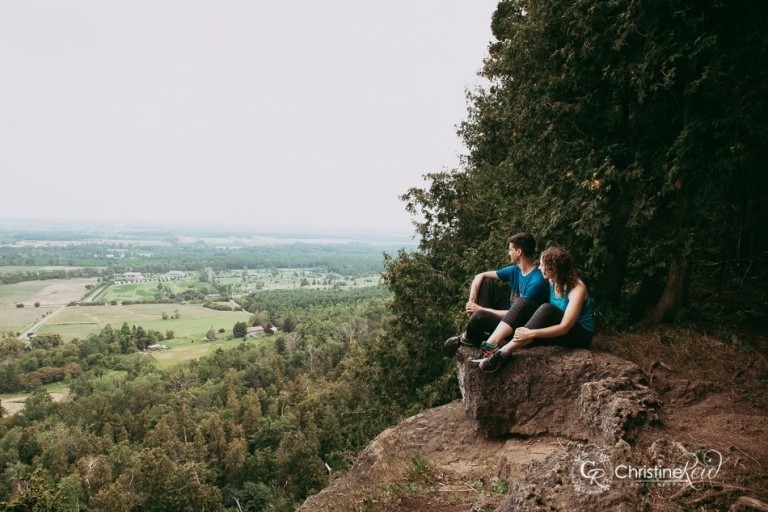 We chose Mount Nemo not only for it’s spectacular views, but it also meant something them. They were completely in their element and were kind enough to let me in. I really hope this post inspires other couples to consider something similar, and if so… message me? Cheers to exploring to create!